It was a little disconcerting to visit the great cathedral while Mass was going on. But it did give me a couple of photographic opportunities that I would have otherwise missed. 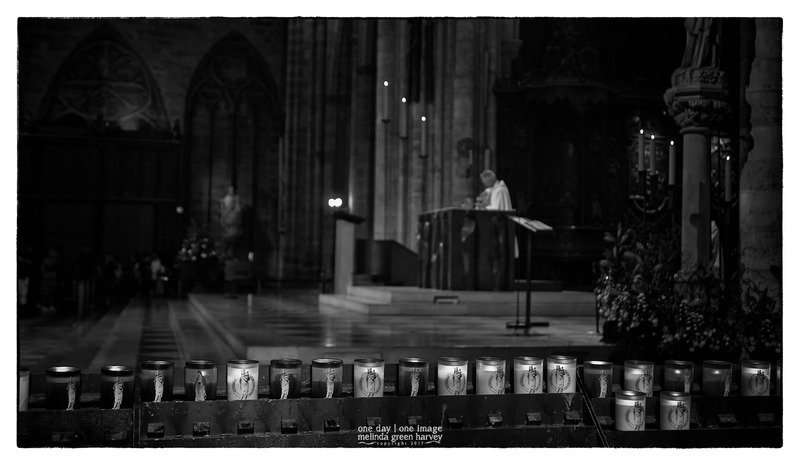 Posted on July 17, 2017, in Photography and tagged 365 photo project, architecture, black and white photography, candles, Cathédrale de Notre-Dame de Paris, church, France, learning to see, Leica, Mass, melinda green harvey, monochrome, Notre Dame, one day one image, Paris, photo a day, photography, postaday, thoughtful seeing. Bookmark the permalink. 2 Comments.